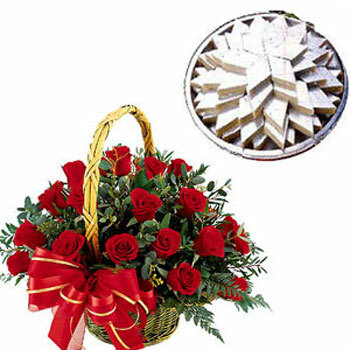 Our Kaju Treat consists of a basket of 24 lovely red roses and a 1/2 Kg delicious Kaju sweet. Kaju Treat is one of the special gift hampers you can send your loved ones on festivals and special occasions. 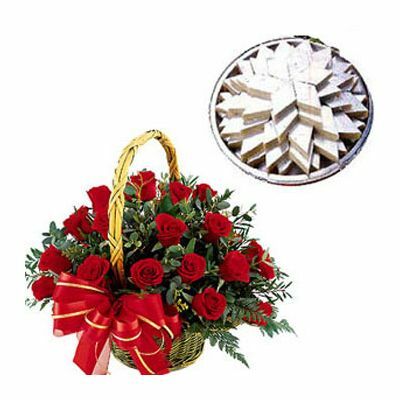 The imaginative arrangement of the delightful blooming red roses with lots of greens is creatively done by our florist.Our Kaju Treat is the best gift for festivals and you can also send it to your friends, relatives and colleagues.